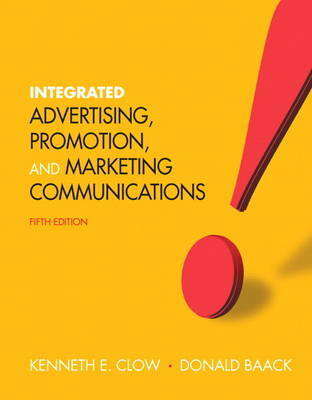 Examine advertising and promotions through the lens of integrated marketing communications. The carefully integrated approach of this text blends advertising, promotions, and marketing communications together, providing readers with the information they need to understand the process and benefits of successful IMC campaigns. The fifth edition brings the material to life by incorporating professional perspectives and real-world campaign stories throughout the text.